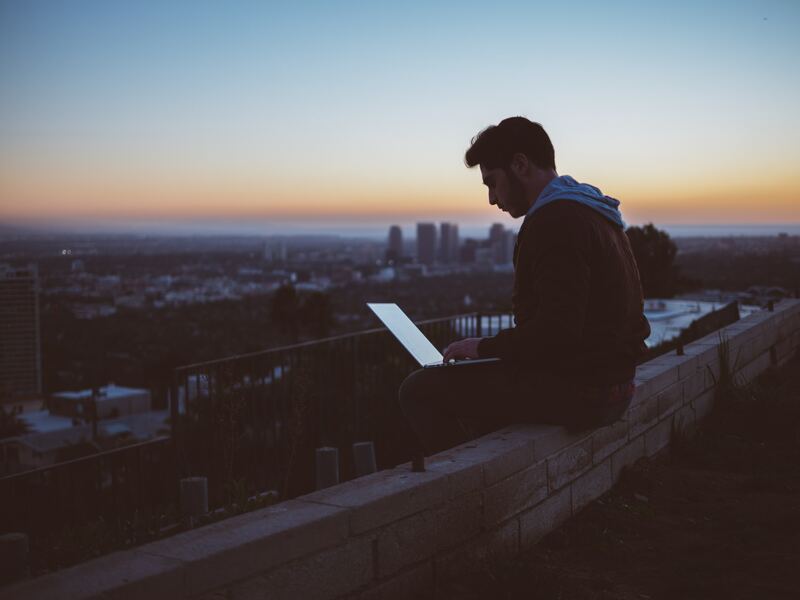 To keep your company growing at the dramatic pace you plan for, it is essential to have your business software applications integrated around a single process, database and network. However, many organizations may not realize that the exact same solutions they have been using before the API was born can also be connected with integrations. For instance, Office 365 already includes a healthy set of features, but that doesn’t necessarily mean its functionality can’t be further expanded. When Microsoft adopted the cloud and launched Office 365, the otherwise simple app suite opened up to a whole new world of possibilities. Without a doubt, the default version of Office 365 has a lot to offer, but the suite still does lack several capabilities. That’s where the right integrations can help Office 365 users quickly finish critical tasks and gain instantaneous access to all the business information they need to service and sell to customers. Incredibly, Office 365 integrates with the most popular business applications to ensure that it conforms to users’ existing businesses processes. Since just about every other company is using Office 365 as their main productivity tool, we wanted to take a close look at what integrations and add-ons exist. Based on our research, the following 10 integrations can help you get the most out of Office 365. DocuSign is an absolute time saver for Outlook users. Essentially, it allows you to digitally sign any contracts, legal documents, or emails. Recipients too can sign documents securely and return them via email. In addition, the tool automatically saves copies of each document into your OneDrive storage. There’s even a permissions feature that allows administrators to manage the integration for any organization. Add or remove users, grant access, and configure controls and permissions. DocuSign therefore makes it easy to maintain a centralized location for all electronically signed documents throughout your enterprise. The seamless integration between Xero and Office 365 enables you to attach transactions, emails and vital documents directly to your clients’ jobs. This gives you instant access to the client details you need, no more file forwarding or hunting through your inbox. But there’s more to it than just viewing client information. If a contact emails you about a quote, you can make a new quote from within Xero and it will automatically get attached to the original email as a record. And if they confirm an order, you can just as simply kick off an invoice as well. Hence, your workflow is simplified. Yammer is an ideal tool for socializing ideas, asynchronous communication, and for collecting social sentiment. Its integration mixes the typical chat messenger app with collaboration tools offered in Office 365. For instance, users can edit, co-author and discuss documents in Yammer using Office Online. They can even discuss and share content in Yammer directly from Skype Meeting Broadcast, Delve, SharePoint, and more. In addition, users receive immediate benefits as a result of this integration, such as being able to pull in and link content from within Office 365 or SharePoint and put it into Yammer. After integrating Boomerang with Office 365, users can schedule emails to be sent at a certain time or use email to schedule meetings. It can also remind you to follow up on important emails that don’t have a response. Boomerang even has a unique “snooze” feature, which results in a message resurfacing at the top later at a pre-decided date. Overall, it’s a great tool for Office 365 users to avoid back and forth scheduling hassles, clean out the clutter from their inbox, or follow up on leads that went dead. LucidChart Diagrams enables users to add in a new collaborative functionality to Excel. After integration, you get to access hundreds of different templates including mockup tools, network diagrams, flowcharts, mind maps, and even business process models. For real-time collaboration, modifications to documents are synced and merged to all Office 365 users simultaneously, and the entire thing even includes a commenting system as well as a chat group. LucidChart Diagrams is also available for Word and PowerPoint. Just as other email service providers, Outlook has placed a file size limit on documents and attachments. Fortunately, tools like Send Anywhere allow Office 365 users to bypass the cap. After connecting it to their Office 365 account, users can add attachments as large as 10gb. Send Anywhere even adds a new layer of security: instead of sending the attachments in the email, the add-on sends a URL that’s placed inside the email, which expires after a week. In short, the tool allows you to bypass any file size restrictions Outlook natively has. Smarter BIZ Manager allows you to convert Excel into a mobile CRM. After its integrated with Office 365, you can create appointments within Excel, distribute appointments to your sales department on mobile devices, and gain status updates of all customer interactions in real-time. Users can also use Smarter Biz Manager to add some really powerful data to their Excel files, including call logs, the status of assigned appointments, or GPS locations. The entire platform makes it simple to manage leads and follow up lapsed customers. Bored with Kabnan style organizations? Then maybe Milestone Gantt is the tool you need. It offers a new, visual way to organize tasks in SharePoint and track the progress of current projects. Users can see major updates and project milestones on these Gantt style charts, and even have the option to place baseline bars and bars. Some really handy configuration features exist as well, such as the ability to add in freeze periods or customize Gantt chart usage in exporting. Overall, integrating Milestone Gantt is a great way to add visual aids to a project’s progress. Smartsheet’s point and click integrations with Office 365 apps make each more useful and powerful than they are by themselves. For instance, Office 365 users can combine data sources in Power BI with work management data in Smartsheet. Those using Outlook can track and organize projects, or even collaborate on the projects directly from their Outlook inbox after Smartsheet integration. On the whole, Smartsheet reduces barriers to productivity via real-time insight and visibility into work. If your company is already using Salesforce, the Salesforce Lightning integration is one of the simplifies ways to boost productivity and efficiency of Outlook in Office 365. It enables you to view all accounts, custom objects, contacts, opportunities, and leads associated with appointments and emails without ever having to close Outlook. Users can also look for Salesforce records inside Outlook, as well as add emails to records or create new records in a single click. In standard navigation language, Salesforce Lightning is all about boosting productivity and saving time. Heavily rely on Outlook for your daily email needs? 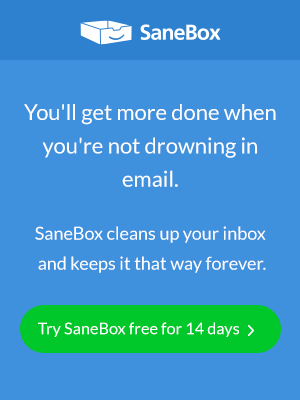 Then you’d love SaneBox. It is easily among the top productivity add-ons for Office 365. SaneBox goes into your email’s backend and figures out what’s important and what’s not, putting everything in the unimportant group to a folder called @SaneLater that users can check periodically. Between intelligent filtering and a range of productivity features, the average user saves 2-4 hours each week with SaneBox. That’s not all. You can unsubscribe from newsletters with a single click, set up reminders to follow up with contacts who ignored your email, monitor your spam folders for emails placed there by mistake, move attachments to Dropbox, snooze non-urgent emails, and more. Watch this video to learn more. Also, SaneBox can be trained by moving emails between the SaneLater folders and your Inbox. We understand that several applications outside Office 365 are core to many employees everyday working patterns. For this reason, the above mentioned tools don’t only integrate with Office 365, they allow users to create a seamless digital workplace so that no one feels they’re swapping between solutions – they just get on and do what they have to do.